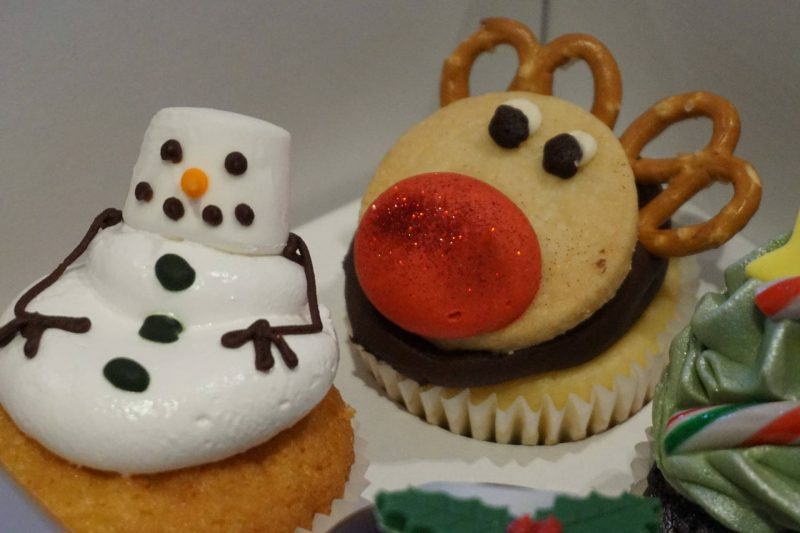 How cute are these guys from Cuckoo’s Bakery?? They are such a lovely gift for someone that has a sweet tooth (like me!) . . . or maybe a treat for the office? 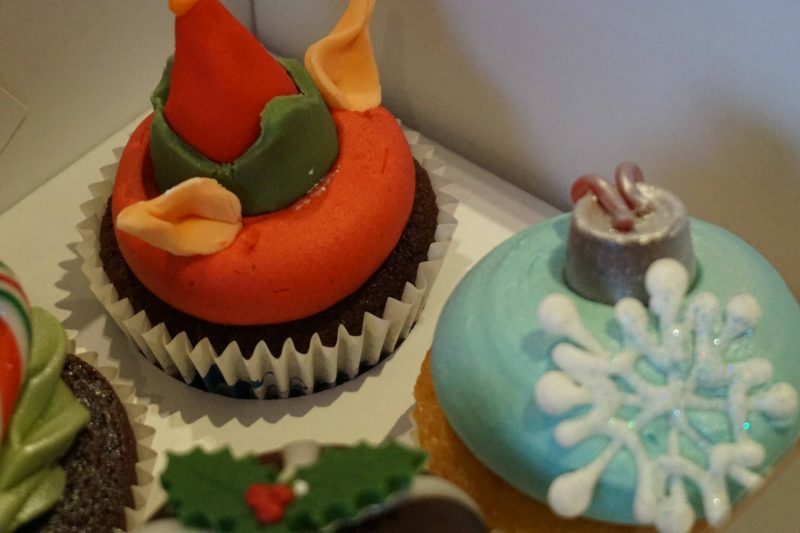 Cuckoo’s Bakery is an award-winning bakery based in Edinburgh that always makes the most delicious cakes. I dangerously live one block away from one and it takes a lot of will power not to indulge in a daily cupcake. 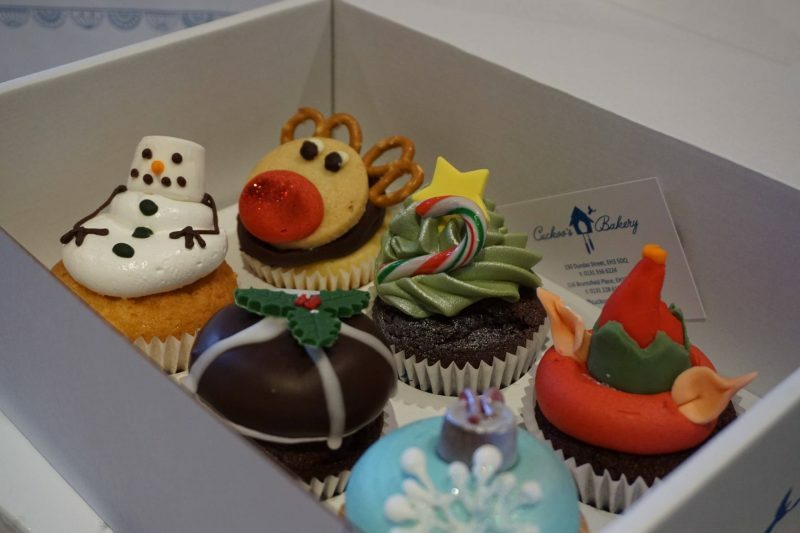 Cuckoo’s Bakery box of festive cupcakes is available from 6th to 24th December 2016 only, so get your orders in fast. 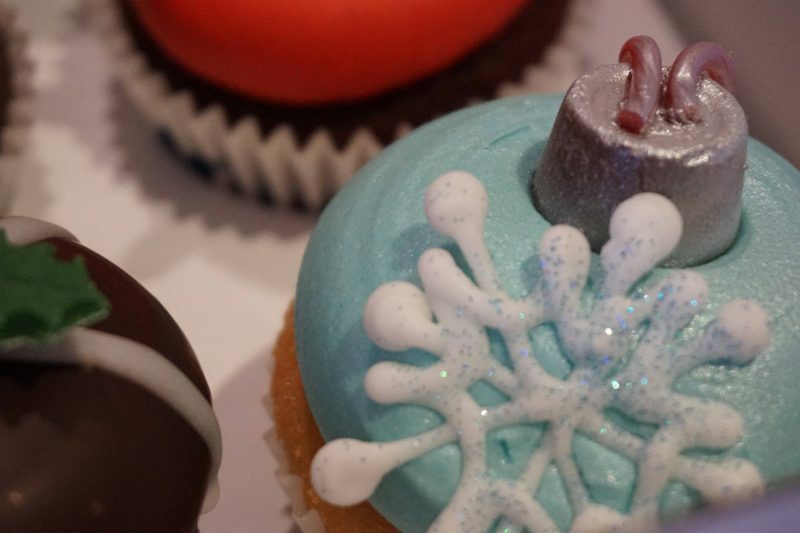 Gift boxes are available in multiples of six (£18), all cupcakes can also be bought individually at £3 each. Order online here or pop into their Dundas St or Bruntsfield Place shops for collection or delivery in Edinburgh. If you are popping in to make an order, I’d recommend making a pit stop for brunch or lunch and trying their soup & sandwich deal. It’s delicious, not to mention HUGE! Beaming Bauble – Vanilla seed sponge filled with blueberry compote and topped with a sparkling vanilla seed buttercream. My Wee Puddin’ – Rich chocolate sponge, cherry jam filling and 55% chocolate dipped Italian meringue. 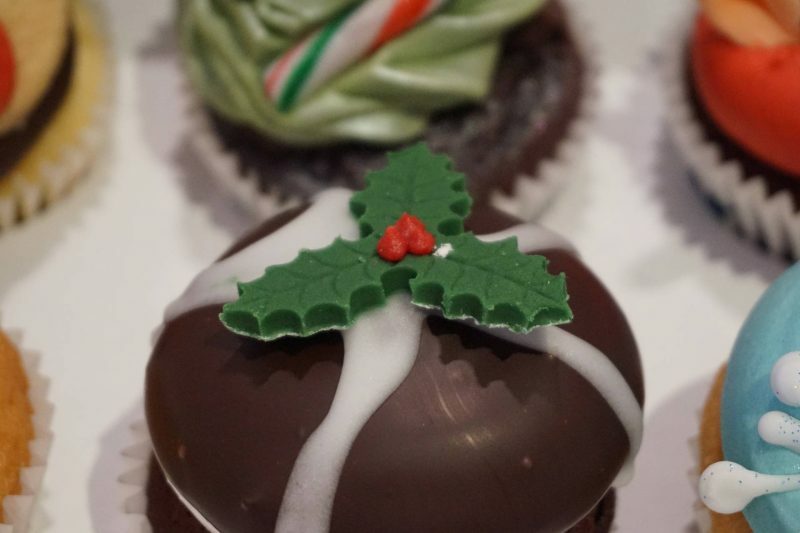 O’ Christmas Tree – Rich chocolate sponge filled with 55% dark chocolate and peppermint ganache, topped with vanilla seed buttercream. 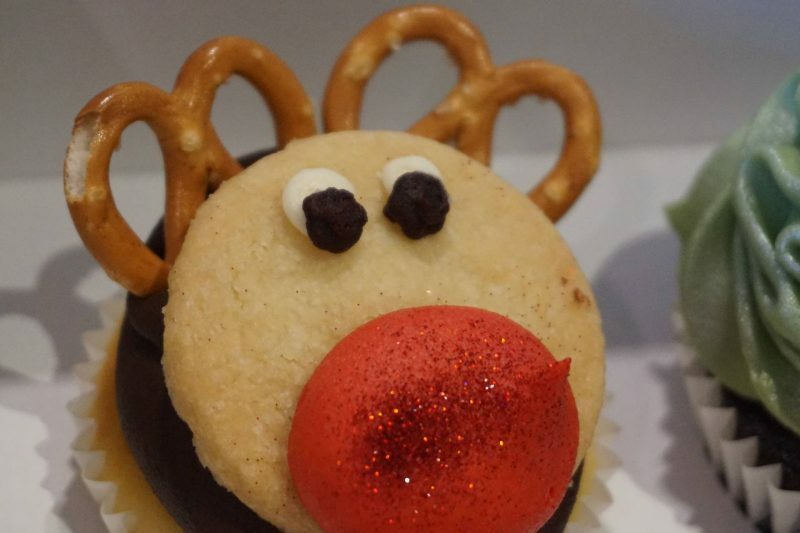 Rockin’ Rudolph – Belgian chocolate chip and Bailey’s cheesecake with chocolate buttercream. Frosty! – Vanilla seed sponge filled with creamy Belgian white chocolate ganache finished with a jolly Italian meringue. 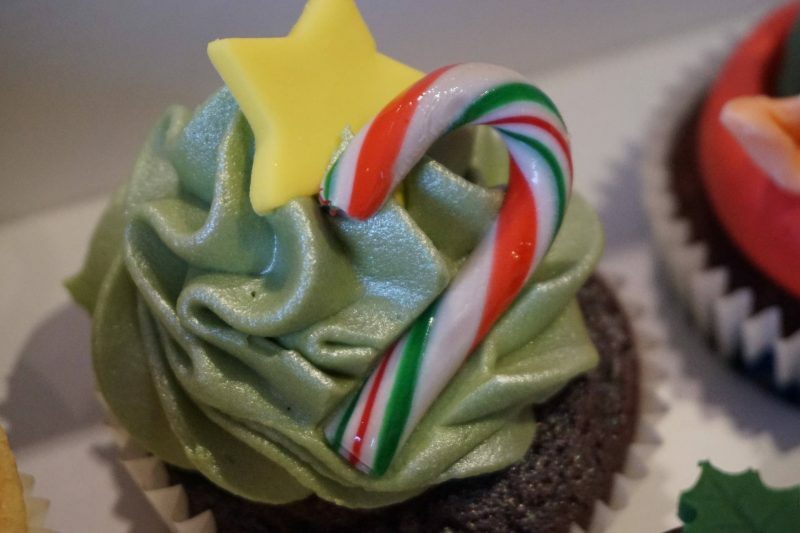 Santa’s Little Helper (GF*) – Chocolate almond sponge made with gluten-free flour filed with caramel and finished with Belgian white chocolate buttercream. Allergens: Gluten, soya, almonds, dairy and eggs. *GF products are made with gluten-free flour in a kitchen which handles wheat flour also. 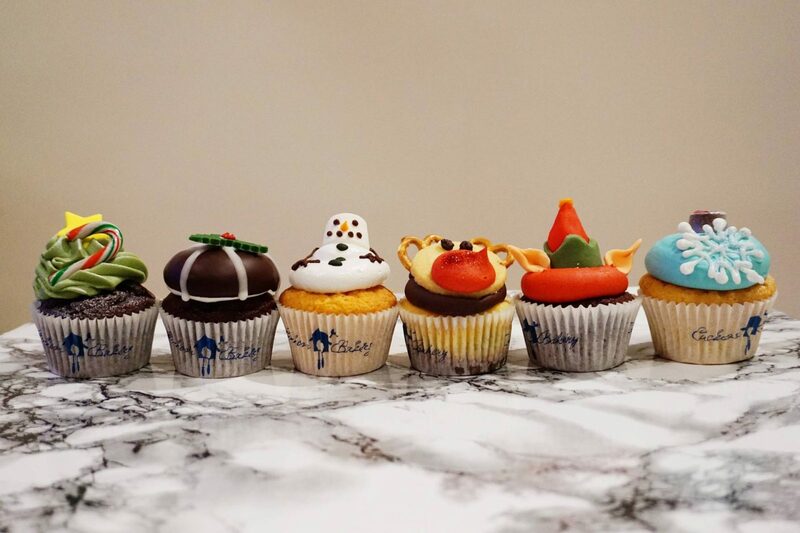 Please note that the decorations on ‘Frosty’ and ‘Beaming Bauble’ contain gelatin and are not suitable for vegetarians and the ‘Rockin’ Rudolph’ contains alcohol.